Another amazing day out on the reef. Mom’s first time using the Brownie’s hookah, and she took to it like a fish to water – pun completely intended! 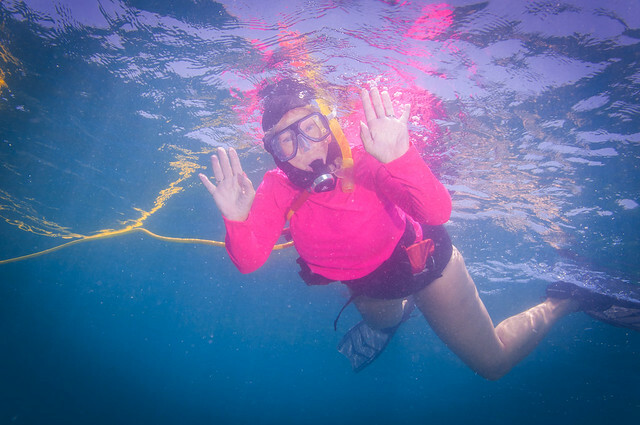 Other than somewhat limited visibility due to the recent storms churning the water, we had great underwater activity with plenty of marine life. 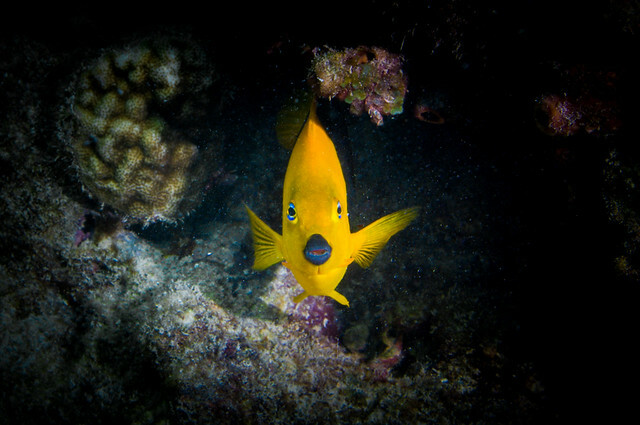 This little Rock Beauty (a member of the Angelfish family) stares me down at it’s little piece of Molasses Reef. Mom scares all the fish away with that pink top! 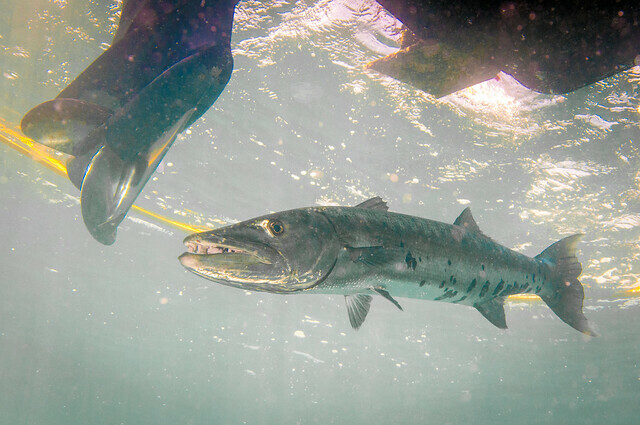 This Giant Barracuda waits for us to board the ladder to the boat, with our tasty toes sticking out! 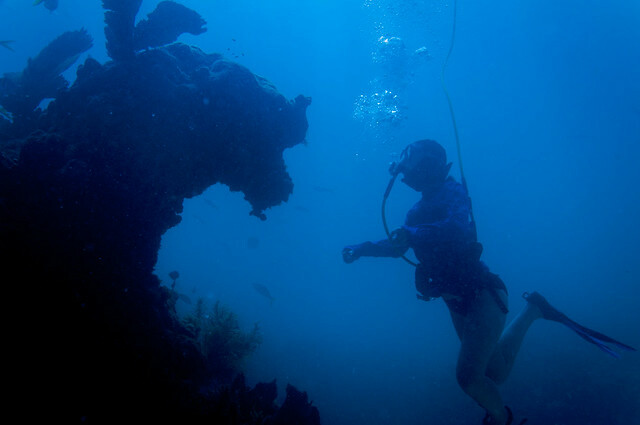 Colette inspects a coral head on the deep, dark side of Molasses Reef.